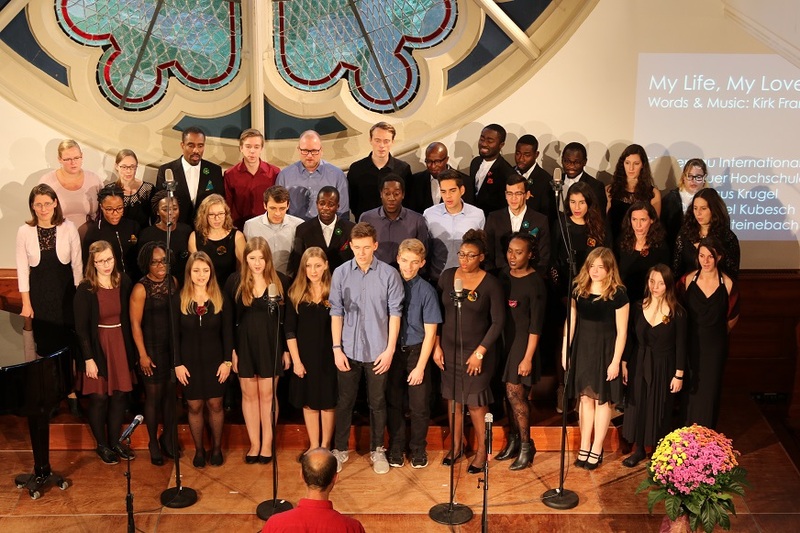 Spirited music– from My Life, My Love, My All (Piano: Marcus Krugel, Drums: Samuel Kubesch, E-Bass: Justin Steinebach), Awesome God (Piano: Kingsley Owusu), Nearer to Thee (Piano: Kofi Amoateng, Lead: Ebenezer Sekyere) up to Wahamba Nathi (Piano: Kofi Amoateng, Drums: Samuel Kubesch, Conga: Aniel Ayitey, E-Bass: Justin Steinebach) – was played. The concert highlighted The FFF Meeting weekend. The booster club “Friends of Friedensau” International e.V. is a non-profit association, which tries to help students of theological studies and social science, who engage academically and social, through promotion and scholarships in their studies. Its also a concern, to help students with a financial crisis. For that, different financial, material and personal support is granted. On the occasion of the annual club meeting, content issues were discussed, and new projects were brought on their way. On Sunday 28th October 2018 the, for the meeting necessary cash and statement reports, templates and exculpations for the past fiscal year took place.